It started out like an ordinary day, just me and my white rabbit rug, an apple and some toys. The box that the truck brought was ordinary enough, but it turned out to be a big surprise! Then Sam and his friends Bobby and Brian came over to play in the mud and I got stuck on the deck. I think I’ll knock that box of vegetables into my wading pool to show who is in charge here. They let Norman and the chickens out but I had to stay behind the fence. See how boring this is? Practically all I have to play with is a piece of garden hose. I got a feed bag to play with, too, I guess. Big Deal. I don’t really eat much cracked corn, but it is important for me to let the ducks know I am willing to share. What are they doing? I don’t think they know, either. Sigh. I guess I’ll go back to bed. I want to help! I could bite that thing! It looks sort of like a pool, but not quite. Oh, this is starting to look familiar! I am stuck on the deck again. 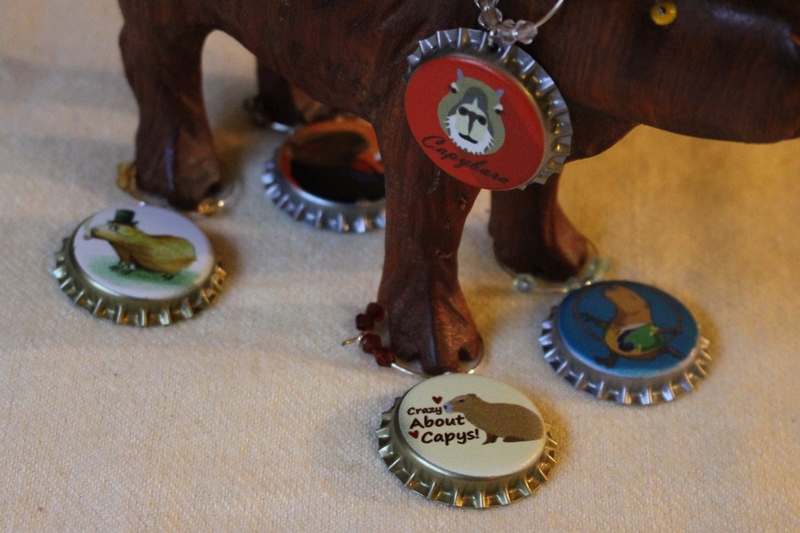 But the poor useless little capybara has to stay on the deck. It’s getting dark but I can hear grunting and groaning. So I wake up and it’s the next day but I am STILL stuck on the deck, and Sam, Bobby, and Brian are back! Sometimes there is a piece of corn up here. If there isn’t any more corn, can you please warm up the water in my wading pool? And get those vegetables out of there? I’m not fenced in any more, but I am fenced OUT! How frustrating. I thought this was going to be MINE! I don’t think this belongs here. It’s getting dark, but can we go to the front yard? I wanted to go to the front yard because sometimes there is corn out here. See, I was right! It might be a mess in the back yard, but the front yard is THE SAME!